The rich aroma of our fine selection of coffee, tea and freshly made juices is sure to draw your attention. Be serenaded by our in house music any moment you step into our Lobby. 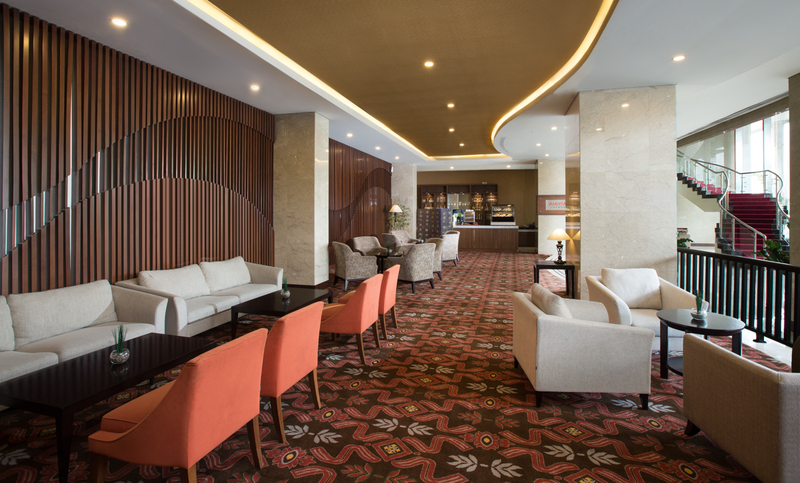 You can also enjoy unwind over a cup of coffee or another drink of your choice in the Café-bar at the Lobby Area with plush sofas and an idyllic ambience.